NOITENA and NOITULS are a homage to Eadweard James Muybridge (1830-1904), one of the first photographers who used his zoopraxiscope to visualize motion in an animation. Inspired by this ground-breaking achievement, Ervinck attempts to capture motion, emotion and time in his own artistic medium. Just as photographers experimented with new techniques in the beginning of 20th century, Ervinck attempts to push the boundaries with 3D printing in the 21st century. 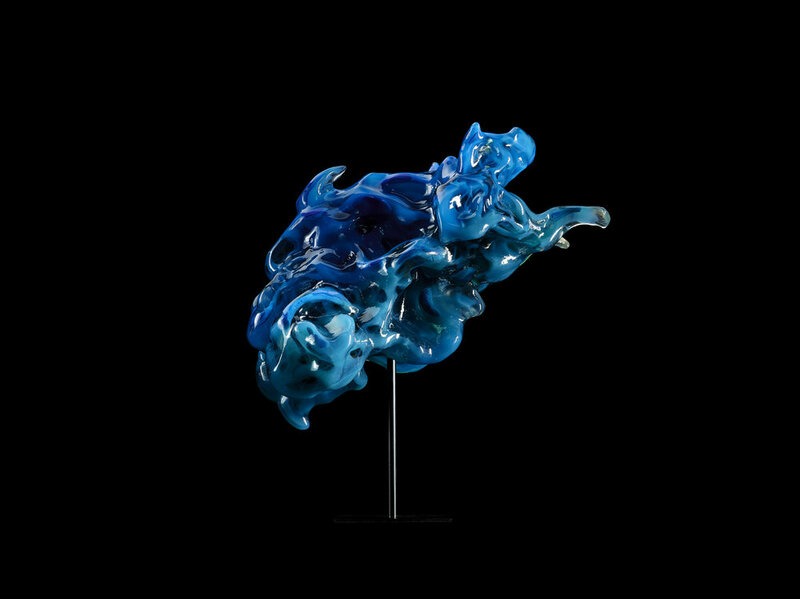 NOITENA and NOITULS are intertwined through various renderings, each focused on reflection, color and movement, giving the sculptures a somewhat poetic, undefinable nature. 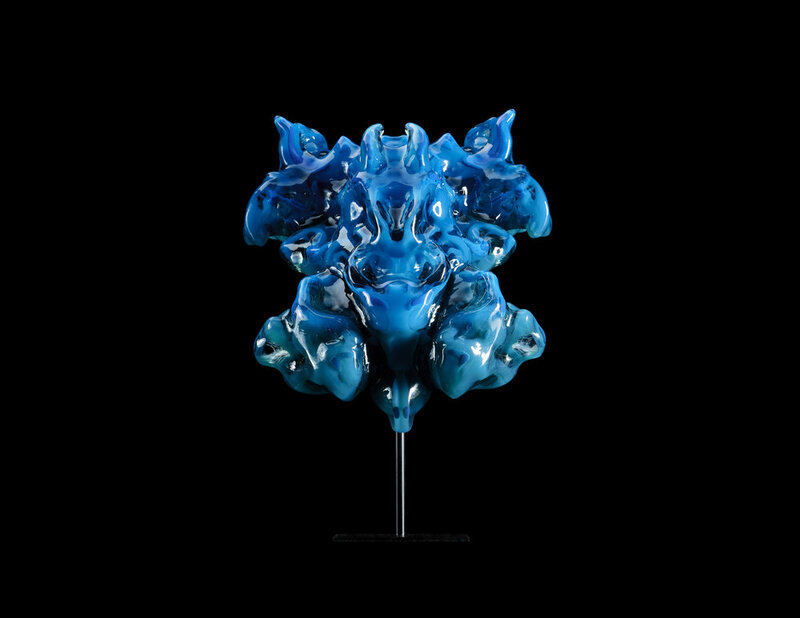 Encapsulating a sense of spiritually, strangeness and mystery, they seem to float in an infinite and undefined space. They are much like “nachbilder,s”, optical illusions we see for the short moment after looking directly into the sun. They mirror those small illusions, captured in time, that we can’t completely comprend and therefore seem to forget, whilst at the same time find ourselves haunted by these strange forms.